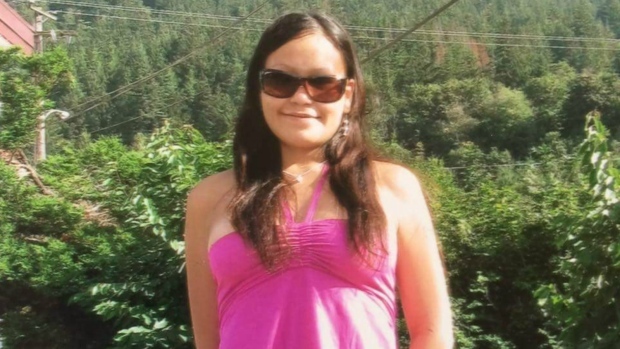 Yesterday I went to Metrotown to attend the BC Coroner’s inquest into the death of Deanna Desjarlais. The inquest is presided by Madame Coroner Brynne Redford and a jury of 5 citizens. Deanna was originally from Saskatoon and a member of the Kawacatoose First Nation. She came to BC in late 2015 and was street involved. In May 2016, she was reported missing by her family. Deanna was found dead at age 27 in Surrey’s Hawthorne Park in May 2016, but not identified until September 2017. On Tuesday, some of the last people to see Deanna testified to the inquest. They included her probation officer, the owner/operator of Lilith Recovery House (where she was released post-incarceration), psychiatrist Nancy Miki, and previous Warm Zone peer co-ordinator: Erica Thompson. It was Erica’s testimony that was the most informative and riveting. She told the story of how she was contacted by Oaktree Clinic –who was treating Deanna’s HIV and Hep C status—because they were in a bind and needed someone to help Deanna navigate her post-prison release and integration. They needed a post-prison release navigator and the closest person to Deanna was Erica --who was in Abbotsford. Through Erica’s emotional and raw testimony we learned that Deanna was a very happy and smiley person, but also someone who suffered from various cognitive deficits (e.g. FASD and ADHD) and was a very simple and overly trusting person. Before meeting Deanna for breakfast at a restaurant, Erica talked to her on the phone and asked her if she needed or wanted anything, to which she replied: crayons and coloring books. So, Erica brought her some clothes, pencil crayons and a coloring book and tried to discuss next steps. Deanna had left the recovery house because she was not happy there and had met a man “who helps girls like her” and was staying at his house over the Easter Weekend. After their breakfast and conversation, Eria knew Deanna was in trouble, but Erica’s hands were tied because Deanna had no money and no place to stay and wasn't returning to the initial recovery house to which she was released. Another confounding problem was that Deanna was released just before a long weekend and the state did not establish her income assistance –nor any kind of emergency funding before her assistance paper work could be processed. She had no money. Erica last saw Deanna when she dropped her off at the house of the person who was housing her. When Erica saw the owner of the house, the hairs on her back stood up. Deanna waved good bye with a big smile while hugging the clothes that Erica brought her. Erica immediately phoned all her contacts and pleaded with them to do something for Deanna, but nothing could be done for her until after the long weekend. After the weekend, the clinical team from Oaktree went to the address to deliver her medications, but she was no longer there. Many months later, the Oaktree nursing team called Erica and informed her that Deanna’s remains were found in Surrey. With powerful emotion, Erica Thompson explained to the Coroner and jury that the release process from jail/prison is a broken process. Deanna was released without any proper co-ordination between the serving agencies who are entrusted with the task to help people like Deanna have a successful re-integration into society post-release. Erica argued that even though much of these problems regarding street involved women were examined during the Commission of Inquiry on Missing Women, presided over by former Attorney General Wally Oppal, http://www.missingwomeninquiry.ca, the same discourse of disposal still surrounds indigenous women. She argued that most of the problems identified in the previous inquiry are still un-addressed in any meaningful way. The same system of disposal is in place. As Thompson explained, Deanna’s death was not just the product of a lack of support regarding addiction and mental health post-release, but it was also a direct result of her desperate need for proper supportive housing not being met. If Deanna had proper low-barrier housing, then it is likely that she --as a penniless parolee-- would not have sheltered with a complete stranger. An act that may have directly lead to her death. Uncategorized | September 21, 2016 by Tina House Attributed to: | Comments Off on Family demands answers as to why Deanna Desjarlais investigation took so long. Q: What is the purpose of people being at the Kinder Morgan site, the encampments? How are they effective or not effective at shutting down the production facility? 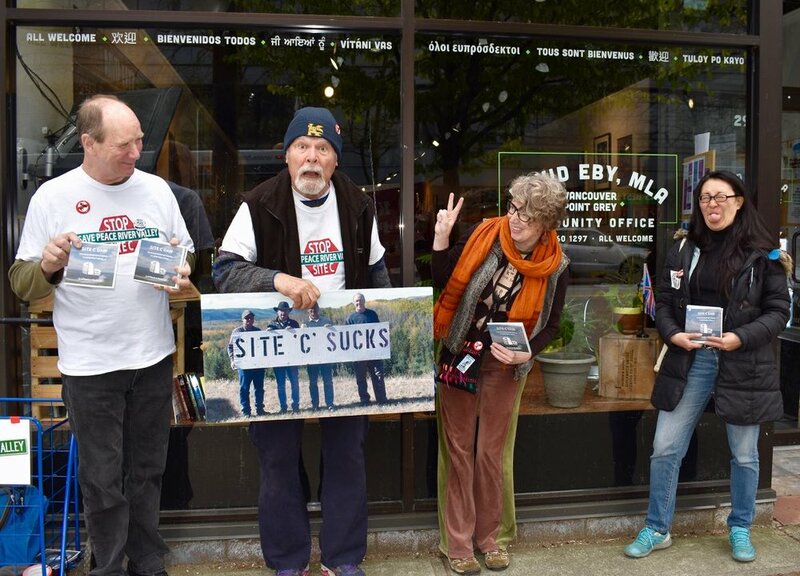 The focus over the last two months has been their so-called tank farm in Burnaby, which is one of the facilities Kinder Morgan [KM] has in Burnaby. There’s also the Westridge Marine Terminal and of course there’s the existing pipeline itself. The tank farm is just one KM site, and it’s the one that’s been the site of both protest and as you said, encampments. There’s been an encampment called Camp Cloud for some time, watching what KM is doing. There was a Watch House built in March by members of the Tsleil-Waututh Nation as part of a traditional Indigenous idea about being stewards of their traditional territory. So those are the two main encampments and their purpose has been to both monitor KM’s activity and at various times, to try and impede them in some way. How effective has that been? The fact that we’re talking about is one sign that it’s been effective. 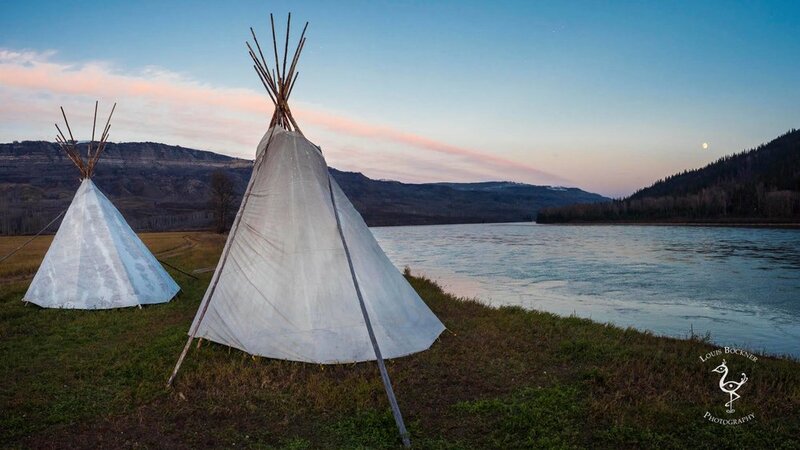 The Watch House in particular sends a really strong message not just to KM but to the federal government as well, and to the Alberta government, both of whom seem really intent on framing this is as a conflict over resource development and not as an issue of free, prior and informed consent by Indigenous Nations or as a question of sovereignty or any other issue of Indigenous rights. Q: Can people being there actually shut down production? Not unless people actually go beyond being present there. Both Camp Cloud and the Watch House are on public land and they’re not within the boundaries of the injunction that was issued by the BC Supreme Court in March so any of the more direct impeding of KM’s activities has taken place outside of those encampments, usually at or near the gate to the tank farm. Q: My understanding is that this current protest wasn’t just wasn’t born out of nothing. Can you enlighten us about how it was connected to the Protect the Inlet [PTI] coalition? What is the relationship? In addition to the encampments which we’ve been discussing, there’s been a coalition of pretty big environmental NGOs who have come together to form the PTI coalition. Stand, 350.org, Greenpeace and a few other major environmental groups who called for civil disobedience actions, or what they call ‘bold actions’, beginning around the middle of March to try and actually both shut down KM’s activities and again to send a message to the federal government, to the National Energy Board, and to the Alberta government that KM doesn’t have the so-called social licence to expand this pipeline. Q: In terms of the current situation, why has the Crown taken over the cases? Talk a little about the notion of contempt of court. Around the same time that the PTI started calling for both a very large demo at the tank farm and also for bold action or civil disobedience, KM went to the BC Supreme Court and asked it to issue an injunction, meaning a court order, saying that people could not impede access to its various sites in Burnaby. This is a very typical way of dealing with environmental justice or Indigenous justice issues in BC, particularly around resource extraction, whether that’s logging or mining or pipelines. That injunction was issued in March and so by the time the first of wave of CD happened, what those people were allegedly doing was breaking that injunction, allegedly breaking that court order by impeding access to the tank farm and then refusing to leave when told to do so by the RCMP. In BC, this has become a very common way of doing protest policing but it’s not really typical in the rest of Canada. It sets up an interesting dynamic where the RCMP ends up enforcing what is essentially a private court order and then it becomes a public, policing issue. Originally the people who were arrested in March and into early April were charged with civil contempt of court. When those people began appearing in court, KM asked the judge to have the Crown come in and take over prosecution. The BC Prosecution Service has a policy on civil disobedience and contempt of court and yet in this case they did eventually decided to take over the prosecution. 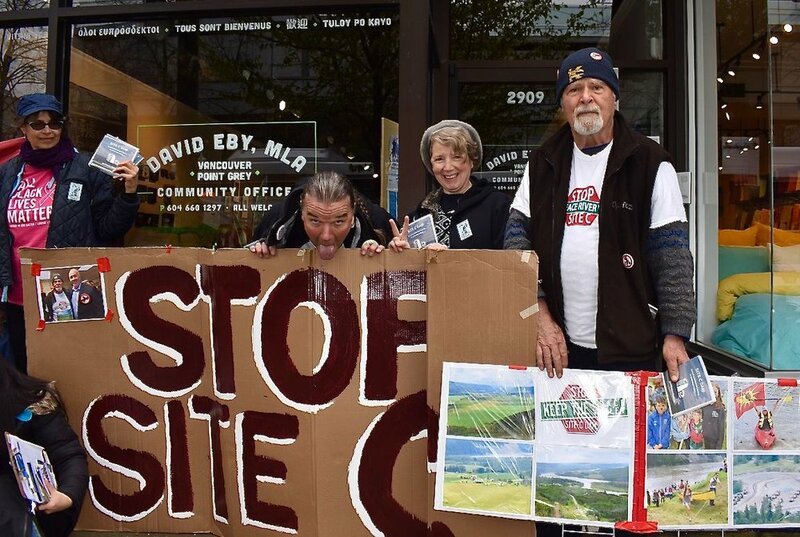 A lot of people were surprised by this because the assumption was that this was going to be a decision made by the Attorney General of BC and the feeling was that David Eby would not do this because the BC government is not in favour of this project. But it turns out that that decision was not made in Victoria, it was made by the BC Prosecution Service, which is separate from the AG, and they decided, yeah, we’re gonna take over these cases. Right now, we have the Crown instead of KM prosecuting people for criminal contempt of court, which is a similar offence to civil contempt of court but criminal contempt is contempt that’s done publicly or flagrantly; it’s sort of seen as thumbing your nose at the court’s order. Q: Is it more serious? It is slightly more serous although if you look at the history of sentencing for contempt of court in BC, for example the Clayoquot mass trials of the mid 90s, we’ve seen some pretty severe penalties for civil contempt as well. Fines are pretty typical for both kinds and periods of imprisonment have been ordered for both civil and criminal, although they tend to be longer for criminal contempt. We’ve seen sentences of up to a year in prison, actually, for criminal contempt of court in environmental cases in BC. Right now, the Crown is trying to push through a pretty sped up trial process. The judge seems to be quite in favour of that. So the story is still unfolding but we do have this interesting situation where what began as a private lawsuit has now become a public prosecution for contempt of court; the Crown doing KM’s policing for them. Q: What do you envision happening in the coming weeks? It looks like there’s first going be some motions heard, starting in early May. Motions have been brought by both the Crown and various defence lawyers to figure out how these trials are going to happen. Contempt of court is not a Criminal Code offence, it’s not a regular criminal offence. It’s actually part of the common law, or judge-made law, and so the regular processes that would apply to a criminal prosecution don’t apply. There’s motions to determine how these trials will happen. For example, will the Crown be able to have police evidence given by affidavit rather than by having the police testify. The problem being of course, that you can’t cross examine an affidavit the way that you can cross examine a person who is on the stand. That’s going to start happening in early May and it looks like the earliest trials are gong to be in early June. In the meantime there’s about 170-180 defendants and a lot of them don’t have lawyers, there just simply haven’t been enough lawyers who have come forward to represent everybody. There’s going to be a number of people representing themselves. It looks like they’re going to be tried in groups, which in itself is going to be an interesting process. A legal defence fund has just been started up to try and raise some money for all this legal defence that’s going to be needed. We’re also hoping that defendants start doing some self-organizing and try to figure out what kind of defences they might want to bring, how to support each other, how to politicize their cases and their trials. There’s a lot going on behind the scenes, it’s not just the arrests that were in the news. Q: Is there a particularly way defendants can politicize their cases? There’s going to be some interesting defences brought by unrepresented defendants. It seems pretty clear that from a strictly legal perspective for example, bringing a climate change necessity defence is not gonna fly legally but an unrepresented defendant might have a little bit more leeway to make that argument. And to make it knowing that its not necessarily going to help them be found innocent but that it’s going to politicize the cases and say ‘here’s why we did this.’ The judge keeps saying over and over again that he’s not going to allow any so-called ‘collateral attacks’ on the project itself. The idea is that the injunction’s been issued, therefore it’s a valid court order and the question before the court is not ‘is this pipeline a good idea or not’. Depending on what happens with these trials, defendants are going to try and get that back out there. I don’t think that a lot of defendants are happy about this idea that they can’t talk about why they did what they did. The Metrotown area of Burnaby is an epicenter of battles over evictions and the destruction of working class housing and community in the Lower Mainland. 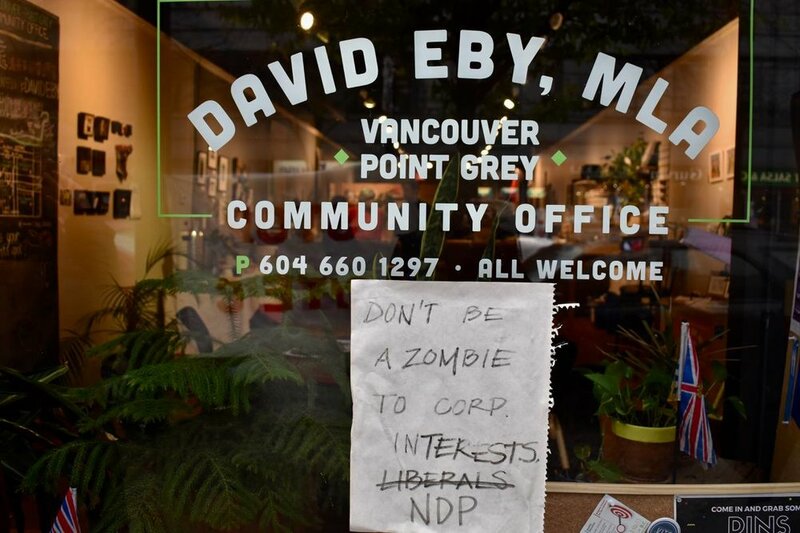 As in Whalley in Surrey, city council and developers are making an ersatz downtown core modeled on petit bourgeois lines (boutique capital, hipster condos, etc.). And the working class residents are being discarded without care in the race to build up (high end high rise towers of capital). In July 2017 Burnaby city council unanimously passed a “Downtown” Metrotown Plan allowing increased building heights in the residential areas at Metrotown. The aim and outcome are to demovict (evict through demolitions) thousands of affordable apartments and replace them with high rise luxury condo towers. That development is rapidly underway and by the time it is done more than 6000 people will have been displaced from their homes and the working class community there will have been destroyed. This neighborhood has been one with lovely two story apartments, though many have already been wiped out. A grassroots campaign including residents of the buildings facing eviction and displacement is mobilizing to top the mass evictions. On Saturday, April 21, 2018, a rally and march of over 100 people took the message to the streets. 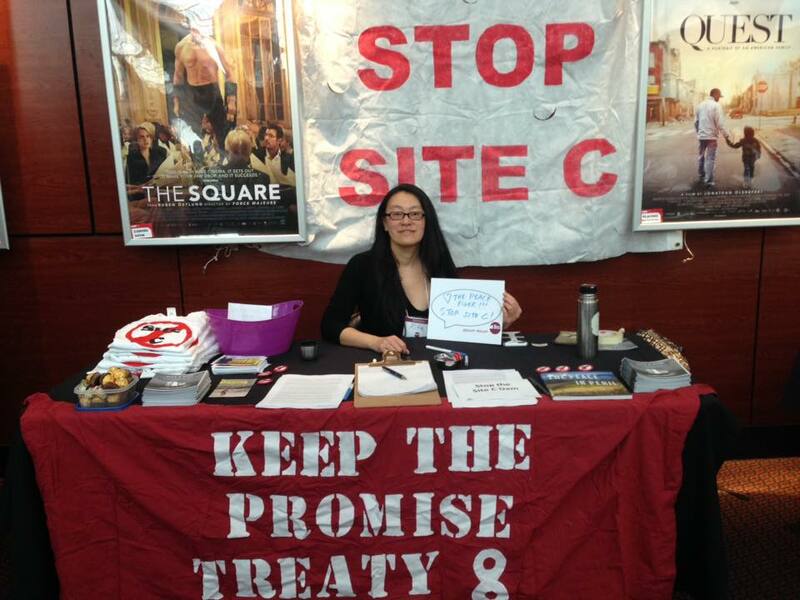 The Stop Demovictions Burnaby campaign is a grassroots movement to stop the evictions and mass displacement of people in the Metrotown area of Burnaby. Burnaby Mayor Derek Corrigan has claimed that there are no homeless people in Burnaby. Along the march we were met by Jackie, who is homeless in Burnaby and lives near the library. She said that there are many people who are homeless in Burnaby. She personally knows 20 people who are homeless and living near the library. The rally and speeches at stops along the march route made important connections between homelessness, neoliberal policy, and the ecological destruction associated with the Kinder Morgan pipeline through Burnaby (and across much of so-called British Columbia). All of these are interlinked and underpinned by—created by—systems that prioritize profit, exploitation, accumulation above human needs and care of the Earth and our communities. And these are systems of violence. The violence of evictions, homelessness, displacement. The violence of destruction of the land. Systems supported and sustained by state force—police, courts, confinement, surveillance. Upholding the violence of colonial dispossession and property claims. Mass evictions in Burnaby are destroying decent working class homes. Destroying communities. In the midst of a housing crisis governments and their developer sponsors are actively making people homeless, deepening the crisis. 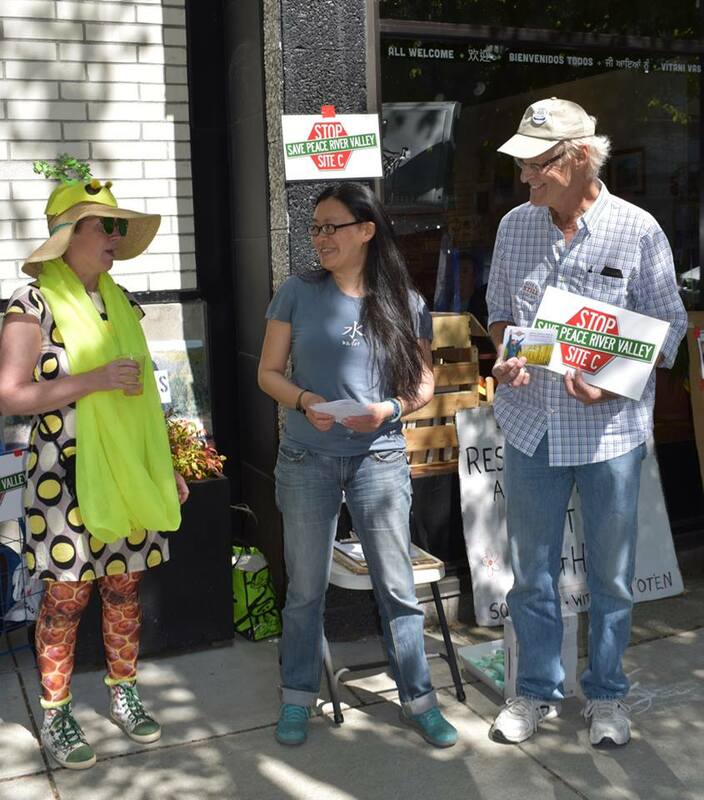 This rally and march showed a committed group of residents ready to fight to save their homes. A fight that is of great significance in this vicious profit-driven housing market.